I first came to Fortingall in the summer of 1982. 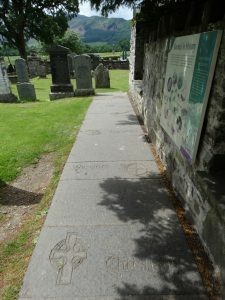 Richard Hunt, Chaplain of Selwyn College Cambridge, used to organise long-distance walks, and that summer’s was from Dundee to Iona. I had to leave before we got to Oban as I needed to be back in Cambridge for an orchestra course – I remember that there was a rail strike and I hitch-hiked home. One lift from Oban to Edinburgh, another to Doncaster, and one ten minutes later to the M11 two miles from home. 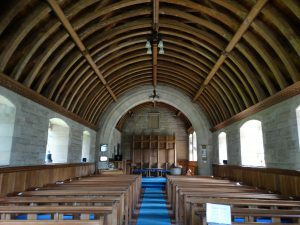 A few days earlier we had arrived in Fortingall, and then made our way west along Glen Lyon, to Bridge of Balgie, and then over the Pass and down to Tyndrum. 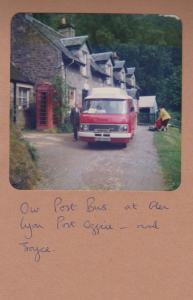 I seem to recall using the Post Bus for some of that journey – and will explore my archives to see if I have any photos of that journey. [Yes, it was Monday 5 July 1982, and I caught the Aberfeldy to Glen Lyon post bus at 0950 from outside Fortingall Post Office. We got off at Glen Lyon PO, then walked up and camped by the Glen Lawers NTS Visitor Centre. Joyce now lives in Singapore]. 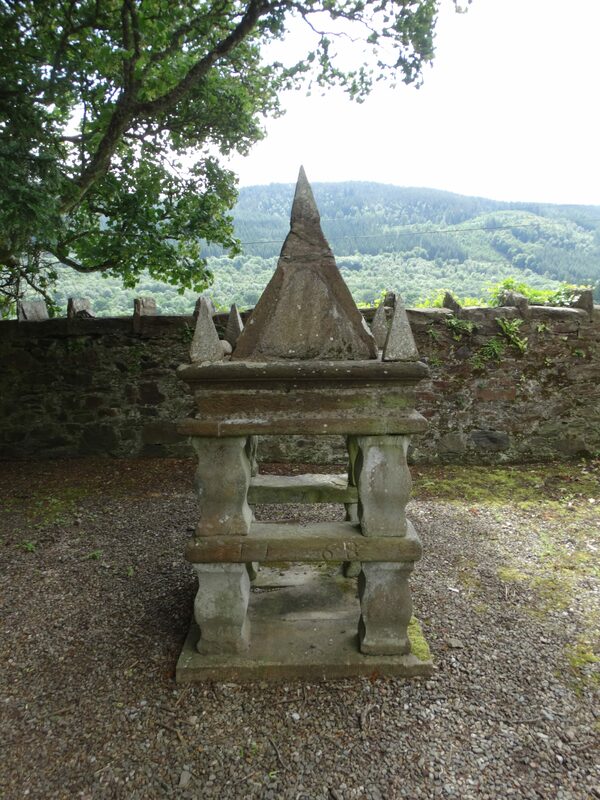 Fortingall Kirk, we are in Church of Scotland territory, is in the village next to the hotel, at NN742471 – website. 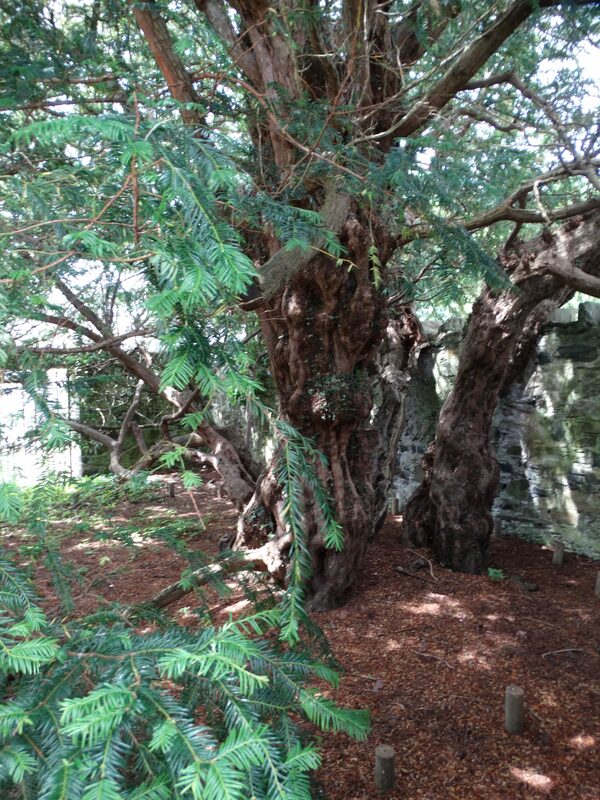 This part of the world has been settled for at least 5,000 years – and we have a 5,000 year old yew tree. 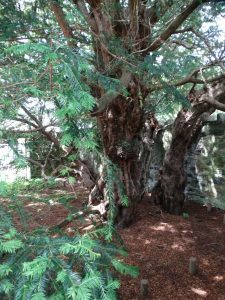 This must surely be one of the oldest living things in the world, and must have been regarded as venerable, holy, for many, many centuries – long before Christianity. The wall was erected in 1785 to protect it, and there is a clever time line as you walk to it. It is believed that Christians were in this area from the late 600s. They walked in the opposite direction to the Hunt walk – coming from Iona, the west coast, over the top, and down the valley towards the east. St Adamnan (Abbot from 679) was active in the valley. 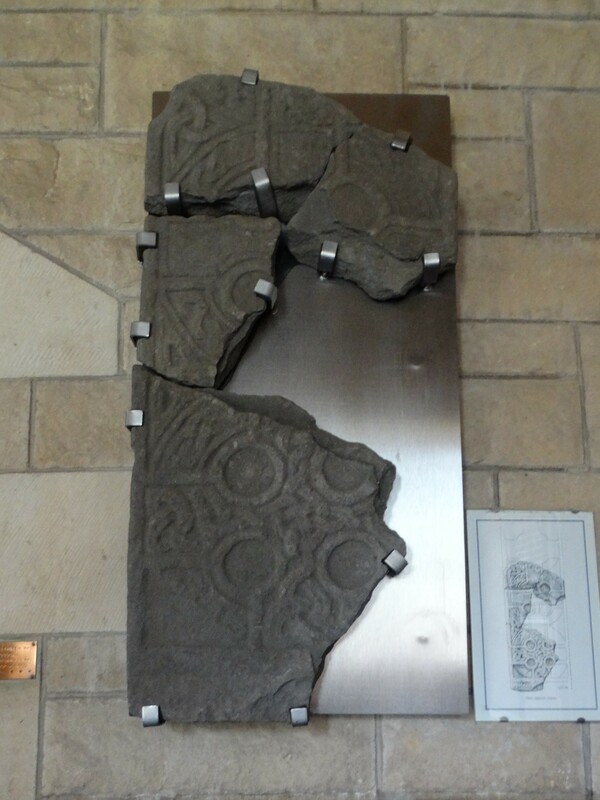 Apparently he was also at the Northumbrian meetings between the Celtic and Roman church. 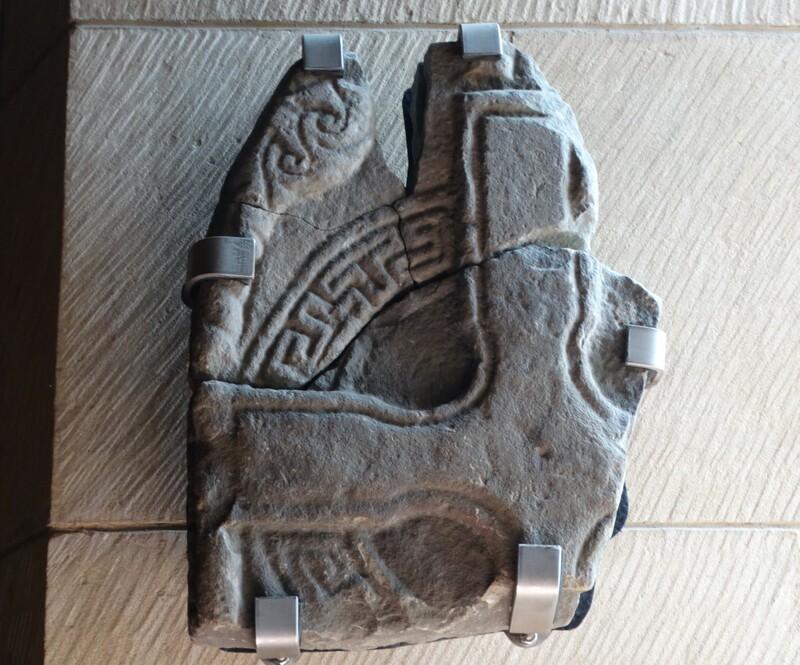 There seems to have been a large monastic site here through to the C10. 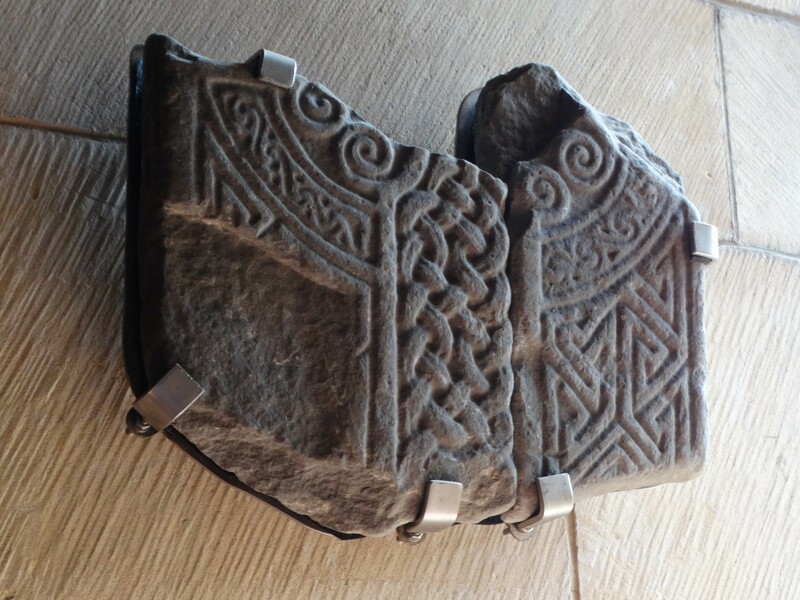 Inside the church we have various Pictish cross fragments, dating around 800 AD, of stone which is not local, but which may have carved by the same person. By the time the monastery closed, a network of parish churches had been established in the valley. Following the 1560 Reformation, Scottish kirks tended to be simple, austere buildings. 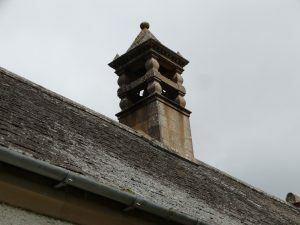 In 1585 the parishes of Glenlyon, Kinloch Ranoch and Fortingall were combined – they covered an area of 300 square miles (and Allestree moan that they are combined with Darley Abbey a mile away!). 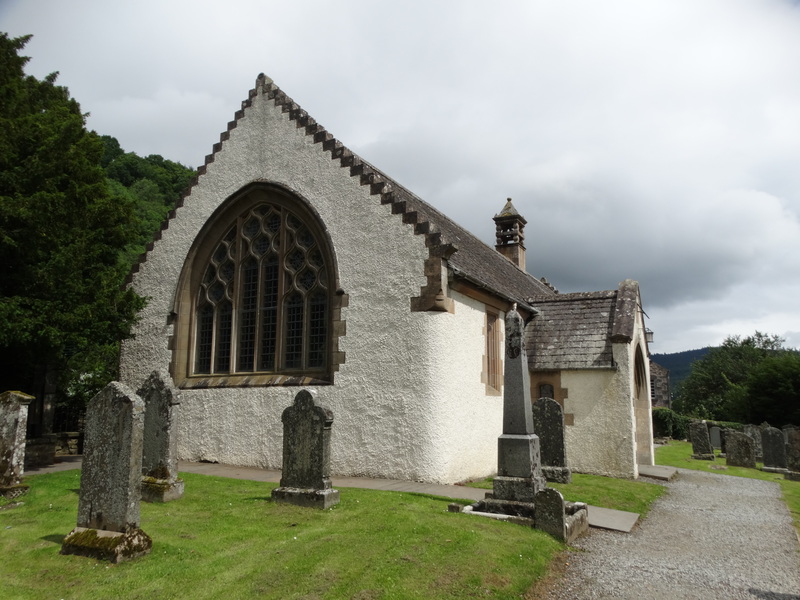 Now it is Fortingall, Glenlyon, Kenmore and Lawers. 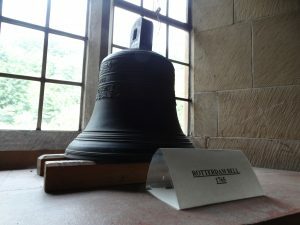 A belfry was added to the church in 1768, and this is preserved in the churchyard. The grave of the Reverend Duncan Macara, minister of the church from 1754 to 1804, is beisde the Yew tree. 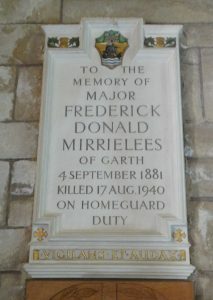 Following the turbulence of the Jacobite uprisings, he brought tranquility and education to the area. The Rotterdam bell dates to 1765 – I failed to photograph a C7 handbell (excuse for a trip back). 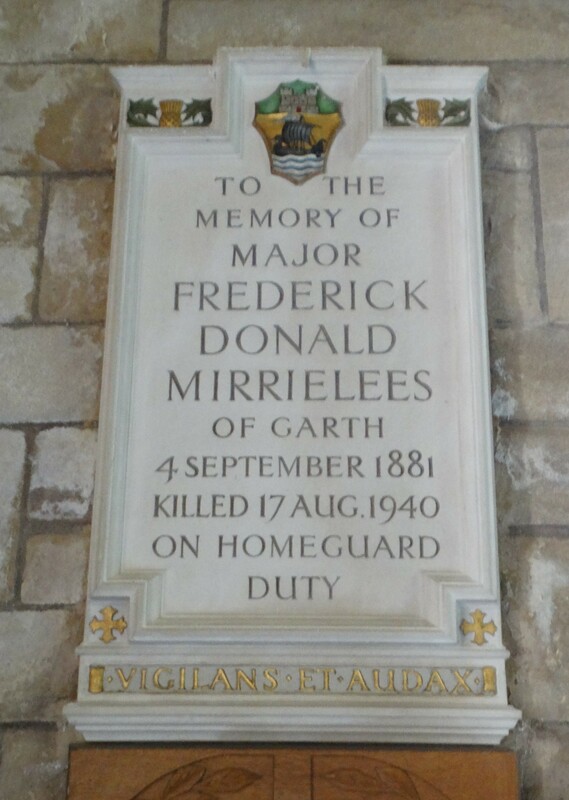 In 1885 the estate and village were purchased by Sir Donald Currie (1825-1909). 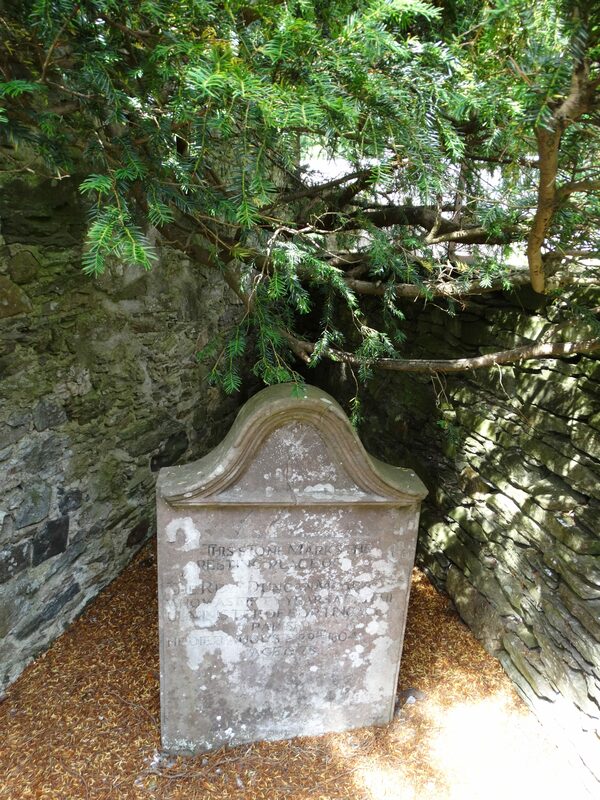 He had made his money in shipping – starting as a clerk in Greenock he rose to become head of the Union Castle line. 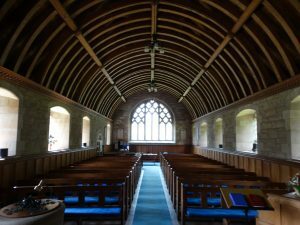 He engaged James Marjoribanks MacLaren (1853-90), a promising young architect, to build him an estate village. He sort to merge Scottish medieval buildings with the English Arts and Crafts movement. 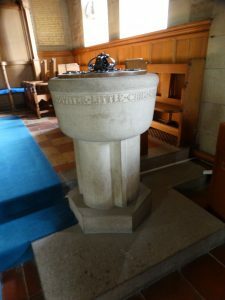 After his early death, the work was continued by William Dunn and Robert Watson, and they produced plans for a new church in 1899. It was paid for by Sir Donald, built by John McNaughton of Aberfeldy, and opened in September 1902. 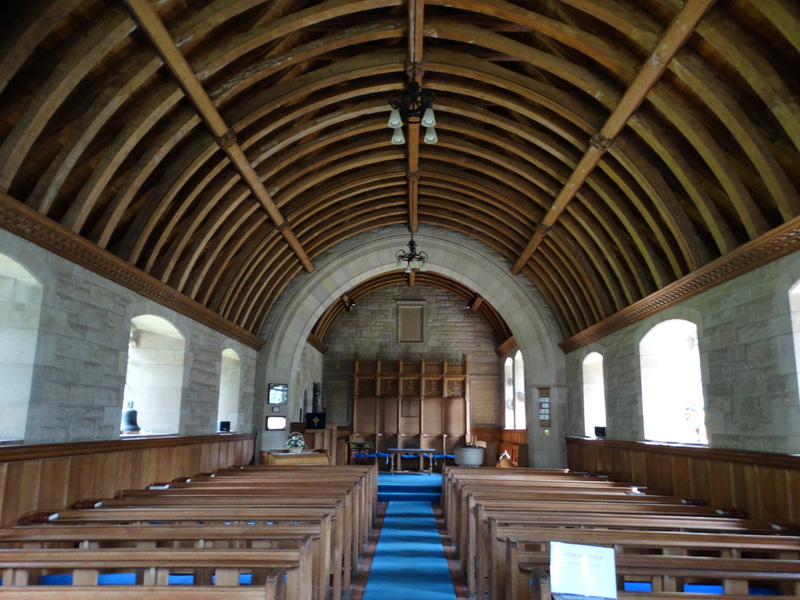 The interior is sandstone, with lovely oak pews and ceiling. 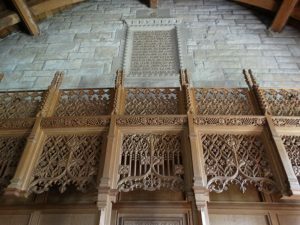 The screen was designed by Sir Robert Lorimer and installed in 1913 as a memorial to Sir Donald – sad that the guide records the designer, but not the craftsman who made it. The font is an Arts and Crafts interpretation of an ancient Celtic font. 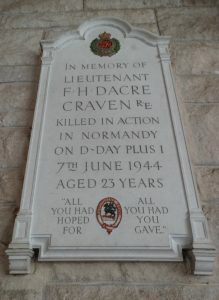 I wonder what the stories are behind the war memorials. A lovely church. 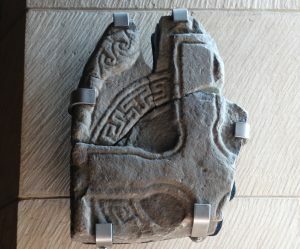 This entry was posted in Personal, Roman, Scotland. Bookmark the permalink.